Whether you want to make small or big changes to your website, we have a website maintenance package to fit your needs and budget. Choose your website maintenance service with or without monthly fee. If you already have a website and lacks the modern looks and latest functionality, it may be the time to rebuild and re-launch. With our Website Redesign service, your website will have a modern and professional look, be optimized for search engines, be compatible with all major web browsers, and be customized for current Web standards. With an improved website, you will notice: more people come to your website; they stay longer on your website, and inquire more about your services or offerings. In short, improved website means more business for you. Enhance the website user experience today! We offer a number of solutions to effectively attract more traffic to your website and which means more business for you. We employ a number of techniques to properly promote your business online: search engine optimization (SEO), pay-per-click advertising programs, content writing, website optimization, and building links. Our proven techniques have helped a number of local websites to achieve consistent high traffic volume. From concept to completion, Techna Center, LLC offers a full range of advanced website design and support services. We have extensive experience in building, launching, maintaining, and marketing websites for local business owners and non-profits. We'll customize your website to your exact specifications - be it for styles, colors, text, background, buttons, graphics, function, videos, audios, and anything else you have preferences for. You define. We code. We launch. We market. We maintain. 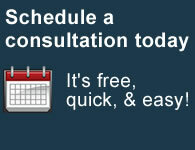 Schedule your free first consultation today. We offer quality and guaranteed service at low prices. We will even beat a local competitor's price. Use us and save! For most new website projects, we don't ask for any deposits. This means you pay for our services after the work is complete. 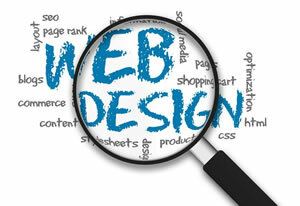 You pay us only if you are satisfied with our website design service.